Many of us must have come across personality theories like MBTI which use part of Carl Jung's concepts to make a theoretical system used to divide people into types. For example, MBTI says that if the person is not neurotic or something like that, then he/she must fall into one among the 16 personality types that have been defined. Over simplification of the MBTI over the Internet has made the base of this theory unknown to many people, but talking about that in this question helps nobody. Recently, I have come across a Youtube video in which a researcher claims to have made this theory scientifically observable and researchable - and seeing that this video has been made at Google Talks makes it believable. I think Jung's concepts - which are based on observation, introspection, Energy flow etc. seem to be somewhat like Pseudoscience to any scientific mind. However, after watching this video I started to wonder whether what he says is really true or not? An extract from Carl Jung's Psychological Types where Jung speaks about these types. An online forum where each personality type profile exists as a sticky thread in its own subforum. These profiles use what seems like a modified version of the Cognitive Functions concept. EDIT: What Dario Nardi speaks about in the video is essentially an outline of what he published in his book. I have found a forum post where a summary of material he published in his book has been written. Please take a look at it if you don't have time to watch the whole video. Here's the link to the presentation he shows in the video (a pdf file). Short version: Is the evidence quoted in the above source (the forum link) a valid evidence to support a concept like Cognitive Functions as described by Jung? Long version: There are two main things in the above source (the forum link) that I want someone to confirm as a proper evidence. 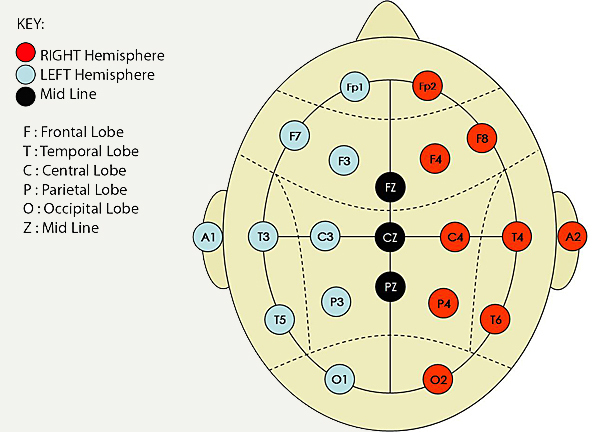 Firstly, as quoted by the source above, Nardi speaks about various regions in Neo Cortex region where he placed these EEG sensors. From what I have read, it seems that he mapped the regions to some activities. Secondly, I will not be long here, but there is a similar part where he speaks about various patterns (in regions of brain "lighting up") he observed during this observation. Although asking for an evidence to this would be basically an extension to the first question, but my question here would be whether such patterns (not necessarily the same ones) have ever been classified/suggested in literature already? The research done by Dardio Nardi (the researcher you're referring to) clearly shows that something is there. Although, he would have no way of knowing as to whether his samples were of the particular type, or if what's being demonstrated really demonstrates use of that particular cognitive function. E.g doing something logical doesn't necessarily mean you're 'using' Ti. I do believe we have innate, instinctive preferences and can classify them into types as such, but I truly doubt that Jung's work would be 100% accurate. Even Jung was hesitant to be exacting in his understanding of the psyche - which lead him to leave a lot of holes in his model. Myers and Briggs filled those holes with many assumptions - which is why the functions are a far better application to finding somebody's 'type'. So yes, I would say that they do exist. But probably not exactly in the way they were described by Jung. Hopefully people begin to think critically about this, then maybe we can actually see some results. Not the answer you're looking for? Browse other questions tagged personality measurement jung or ask your own question.